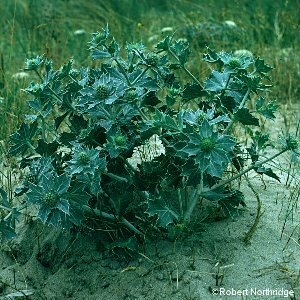 This plant is very distinctive and unmistakeable and occurs in sandy ground on the upper sea shore. 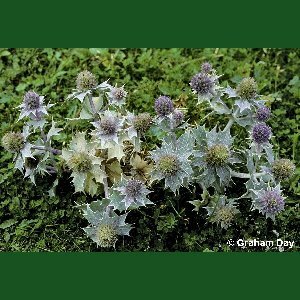 It has declined in abundance in the past fifty years and is now remarkably rare. 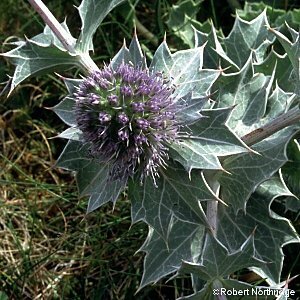 All names: Eryngium maritimum L.